With equities closing moderately mixed, the VIX was unable to hold afternoon gains of around 10% (intra high 29.20), settling -0.2% @ 26.05. Near term outlook is for the sp'1945/30 zone, and that should equate to VIX in the 30s.. before cooling back to the 20 threshold by mid Sept'. 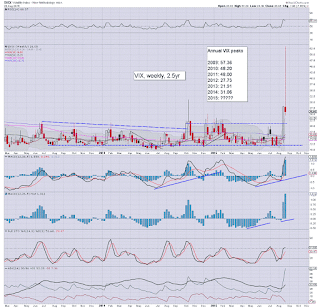 As is often the case, the VIX was knocked lower into the weekly close.. It was the wildest week in the VIX since the equity collapse wave of August 2011, with the highest VIX print since Jan' 2009 of 53.29. *closing hour.. a fair bit of moderate chop... but managing a broadly flat close. 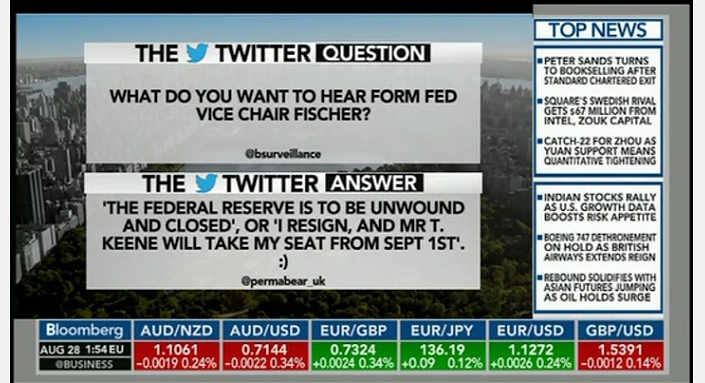 ... and one of the wildest trading weeks EVER... comes to a close. 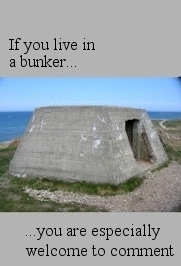 Congrats to all who survived it! 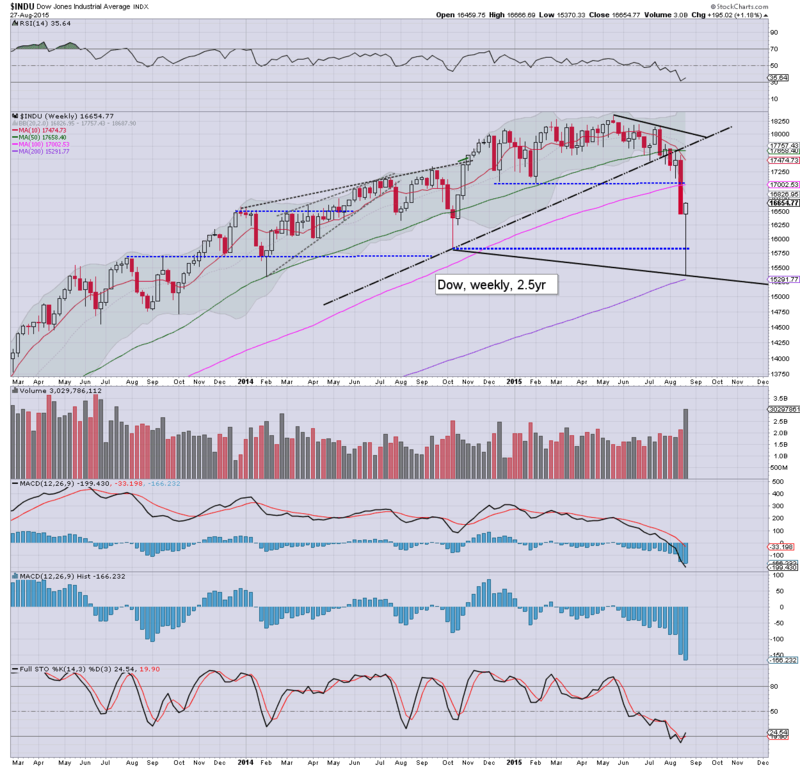 It does look like we'll fall to 1945/30 next week.. before pushing above the big 2000 threshold in early September. Broader outlook... sp'2050/70.... then downside (at least) to the Oct'2014 low of 1820. 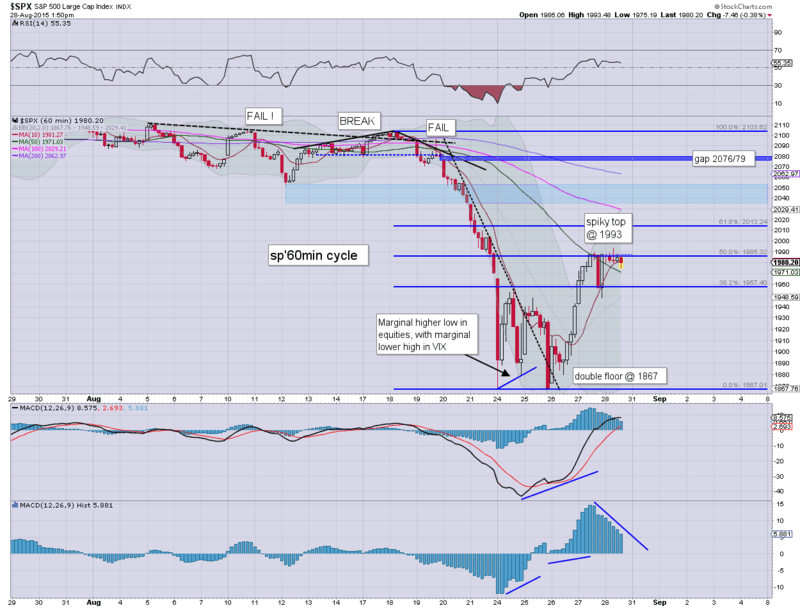 The 1725/00 zone looks possible in Oct, which would make for a natural 38% fib' retrace of the gains from Oct'2011. *thanks for all the messages/emails this week, it has meant I've not slept as much.. but I think that is what weekends are for. US equities remain moderately lower, and with the hourly cycle set to see a bearish MACD cross at some point next Monday, there should be increasingly downward pressure into the weekly close, not least after a giant hyper ramp from 1867 to 1993. 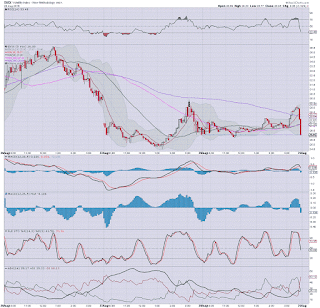 Equity bears need sub 1970s for a net weekly decline. *note the lower bollinger on hourly chart.. currently at 1881.. and rising rapidly. That will probably be around the 1940/30s by next Tue/Wed. All things considered, the market should see lower levels in the closing hour. After all, how many bears are there left to cover? Instead, I'd imagine some of the rats will want to make a run for the exit door. 3.17pm.. chop chop.. sp'1983... 0.5% below the earlier high. The sp' is set for a net weekly gain of around 0.5%.. which is a pretty bizarre thought, considering the Monday and Tuesday carnage. 3.30pm.. We've spent the better part of two days stuck around sp'1980. 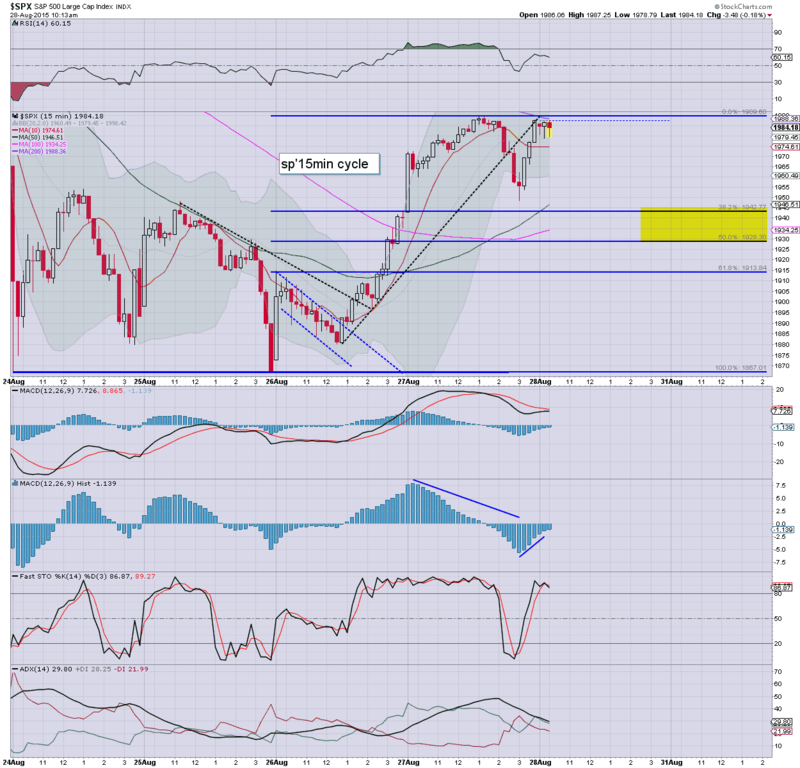 As things are... outlook remains unchanged... increasing weakness.. with downside to 1945/30 in first half of next week. 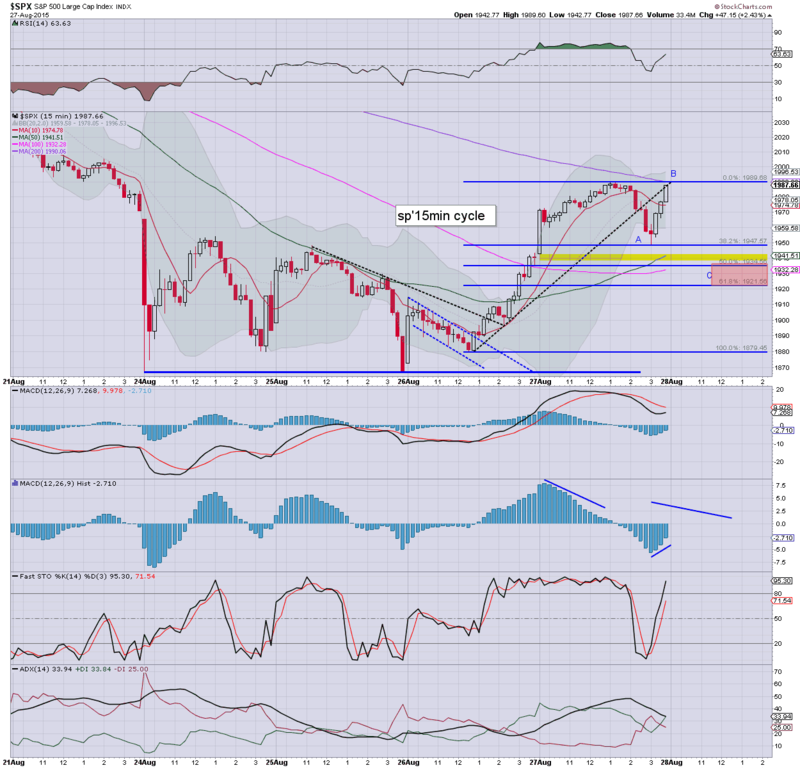 ... yours truly will have eyes on AAPL... 109s... the 108/107s would be a bonus entry. 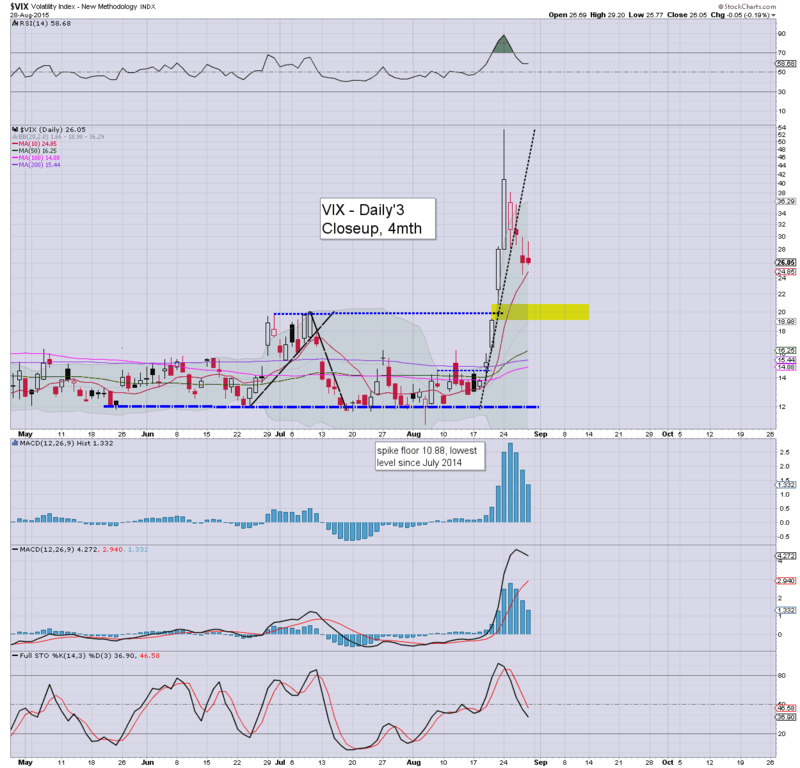 3.35pm.. notable gains in the VIX, +10% @ 28.71... . kinda crept higher without me noticing. 3.37pm.. sp'1979..a few of the rats are starting to JUMP. 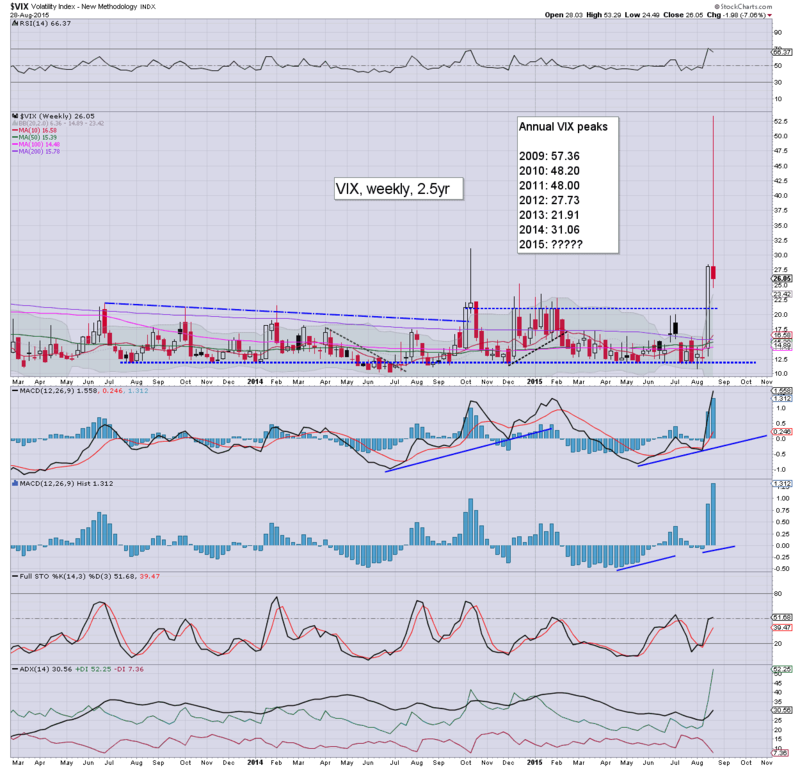 3.44pm.. A weekly VIX close in the 30s now looks due... with sp'1975/70. Overall.... an incredible week.................. back at the close. 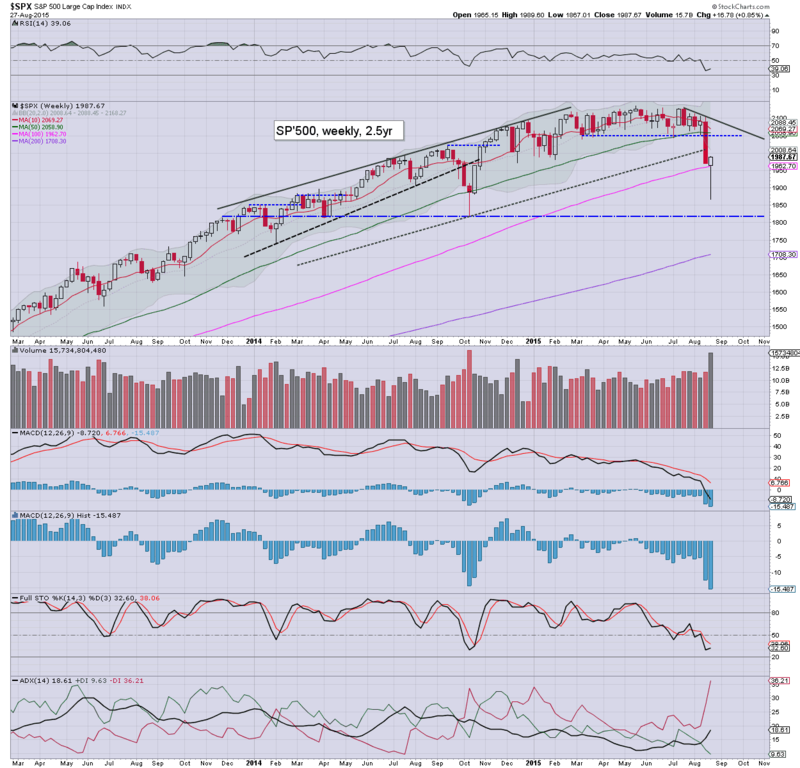 With a break of the upward trend from the Tuesday close of sp'1867, we have a short term top of 1993. There looks to be increasing downward pressure into the weekly close. 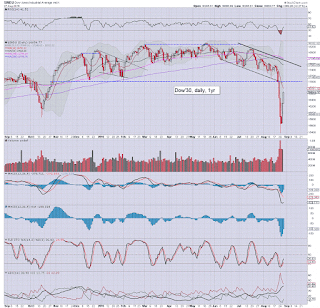 Equity bears need a close <1970 for a minor net weekly decline. Primary retrace target, the sp'1945/30 zone... by next Wednesday. At the current rate of decline, the hourly MACD (blue bar histogram) cycle will see a bearish cross at the Monday open. I would be bemused if the market can somehow break higher from here. In theory, there should be at least some making a run for the exit door into the weekend. .. and I sure ain't happy about the looming winter. 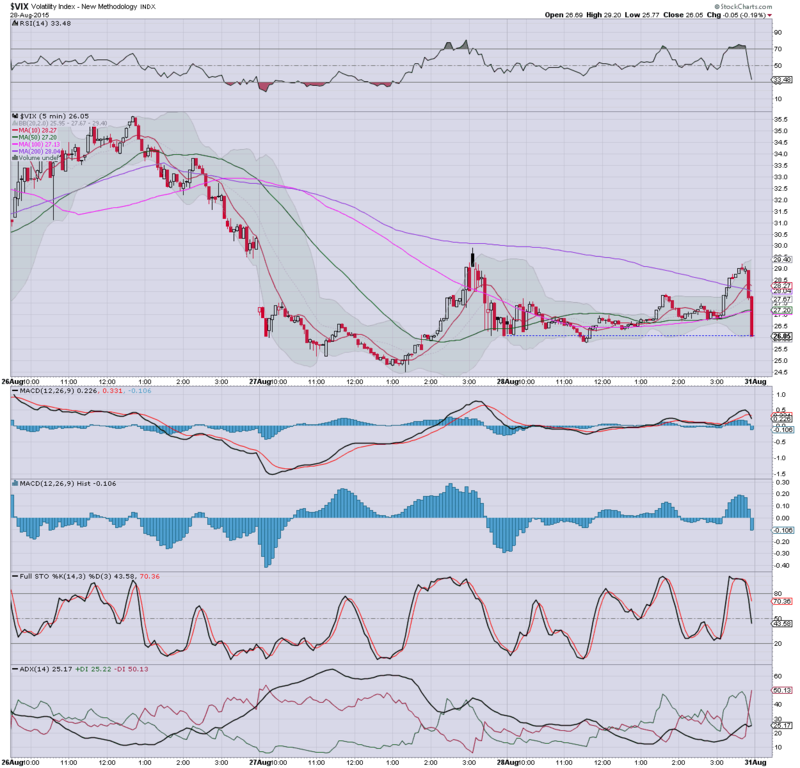 US equities are a touch lower, sp -2pts @ 1985. 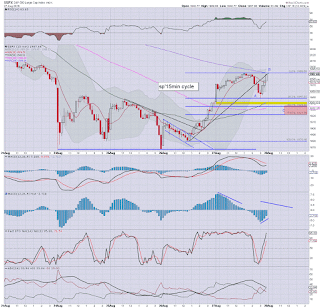 If sp'1993 is a short term peak of the hyper bounce from 1867, a 'fair and realistic' retrace would be to the 1945/30 zone, no later than Wednesday. 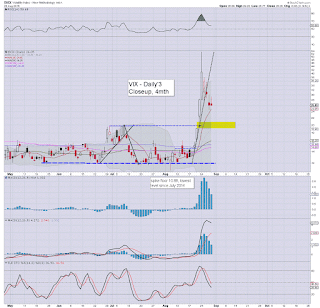 VIX is holding minor gains of 1.6% in the 26s. A move back into the 30s looks due in the first half of next week. There is a clear upward trend, as of 1pm.. market just needs to break <1985 to break trend. 1.30pm... provisional BREAK of the upward trend. A move under the morning low of 1978 would confirm it. 1.37pm. NEW lows... solidifying 1993 as a short term top. 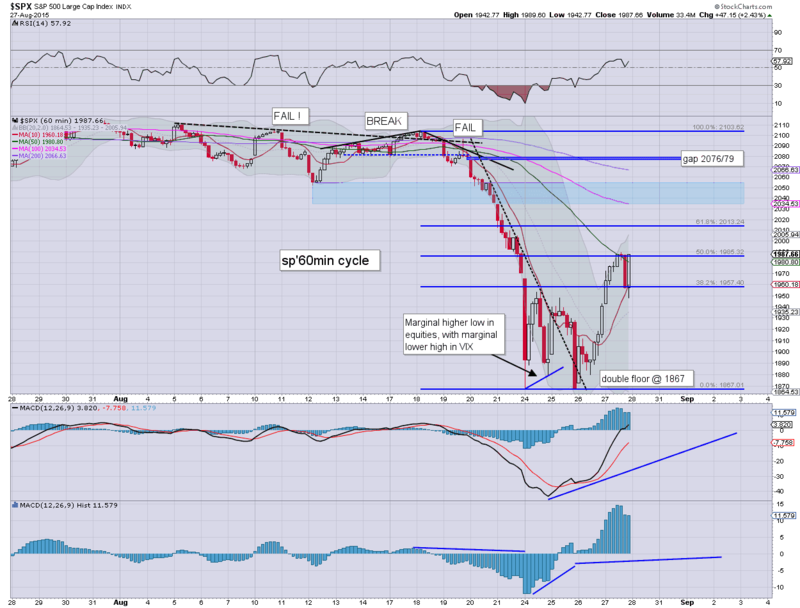 More the cautious bear money will start shorting now. US equities manage a new cycle high of sp'1993.. making a hyper bounce gain of 126pts (6.3%) since the Tuesday close of 1867. 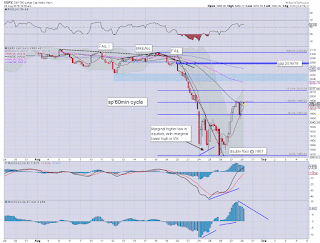 Hourly cycle continues to threaten of increasing downward pressure into the close.. and across Monday. 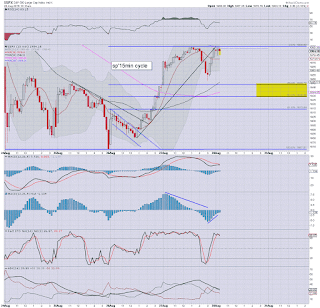 A natural retrace would be to the 1945/30 zone. Despite a marginal new cycle high... I'm still leaning for a down wave. Policy 1, can't short.. whilst daily cycles pushing UP. 2. Will go 'moderately' long... next Mon/Tuesday.. if 1940/30s. 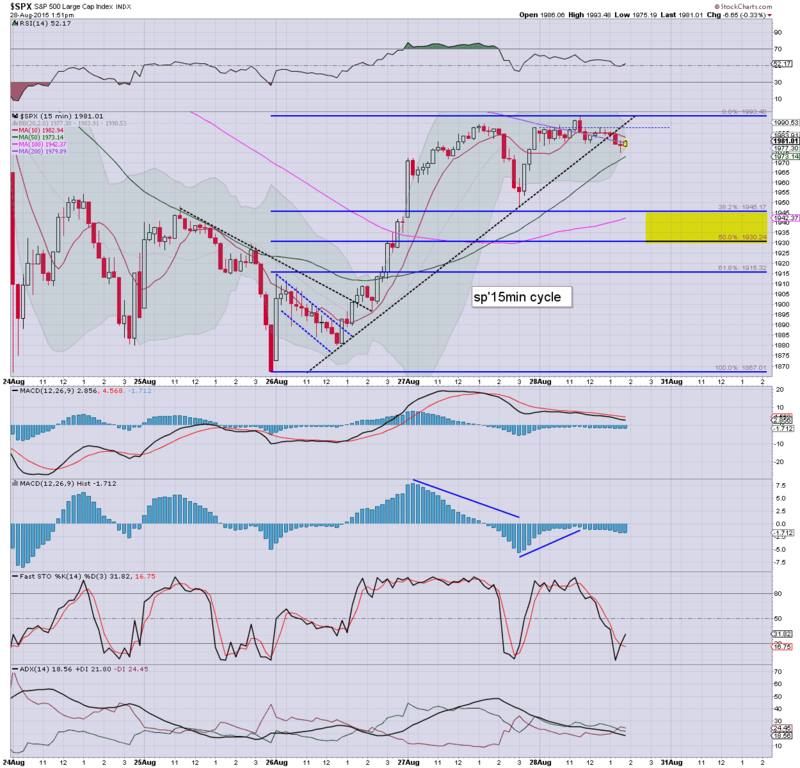 Holding to a broader bounce into FOMC week... 2050/70 zone... which would certainly merit being long.. if correct. 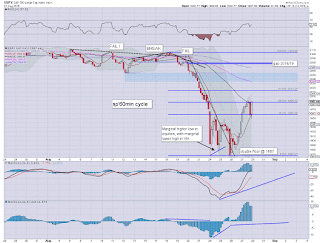 US equity indexes remain moderately weak as the market is battling it out into the weekend. The longer the bulls are unable to break new bounce highs >sp'1989, the more probable it is that we have a short term high and are merely seeing some churn before a snap lower... before the close. Hard to discern whether a short term top is in... market looks stuck right now... with the hourly cycle offering increasing downward pressure into the weekly close. 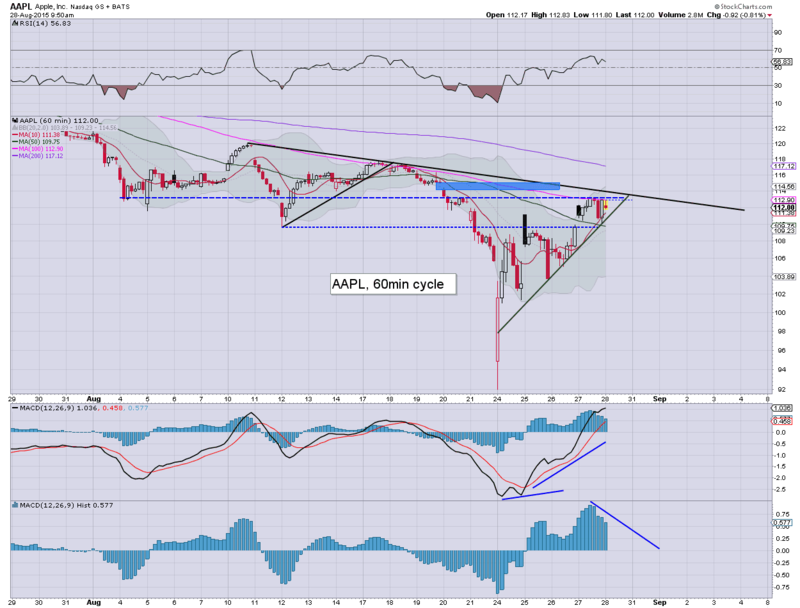 I've eyes on AAPL, -0.7% in the $112.10s. I've no interest in picking up again unless 109s. 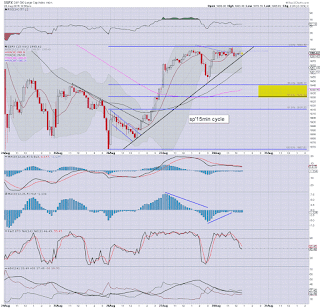 US equity indexes are a little weak, with the hourly cycles offering increasing weakness into the weekly close. 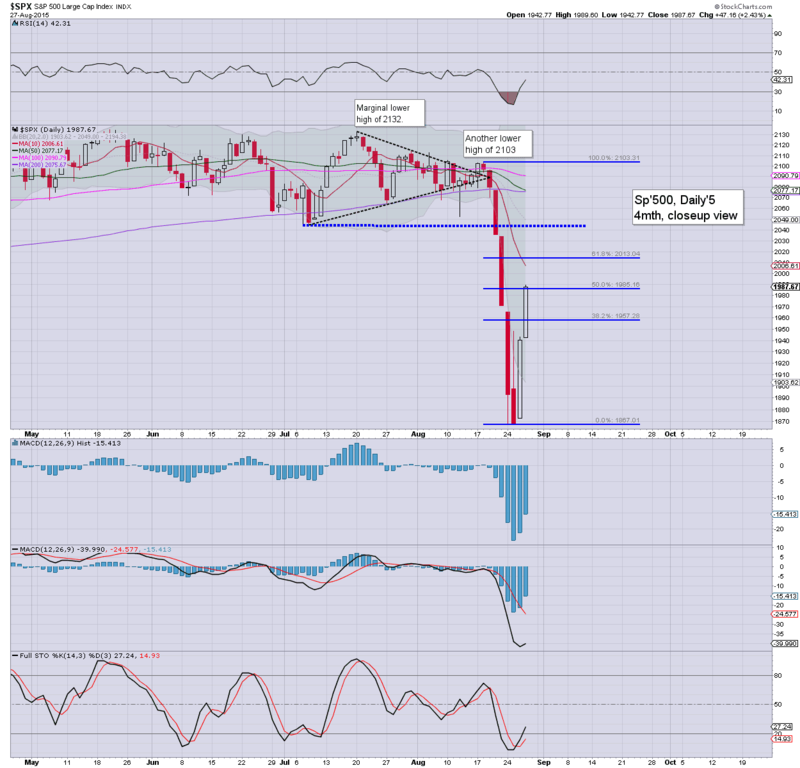 A 'fair' retrace of the 122pt ramp from the Tuesday close remains the sp'1940s. USD is battling to hold minor gains +0.2% in the DXY 95.80s. The quietest open of the week, and frankly... this sort of open would generally favour the bulls. As it is, I will stay focused on the hourly cycle, which is suggestive we'll see increasing weakness into the weekly close. I sure don't believe it merits taking a short position, but for those wanting a more reasonable entry level to go long... it looks better to just sit back and start afresh next Monday. Like the broader indexes, from a pure cyclical perspective, the hourly MACD cycle is on the high side, and is in cooling mode. At the current rate, the MACD will see a bearish cross late today.. or Monday. I remain seeking to re-long AAPL, but unless I see the 109s.. I ain't interested, not least ahead of the weekend. So, I'll just sit back until Monday. Ohh.. and if we break new highs today.. then I'll just start the 'retrace clock'.. at whatever level we get stuck at.. which clearly.. could be the big 2000 threshold. Way risky for anyone to be shorting this madness.. and besides.. who isn't tired after this week? 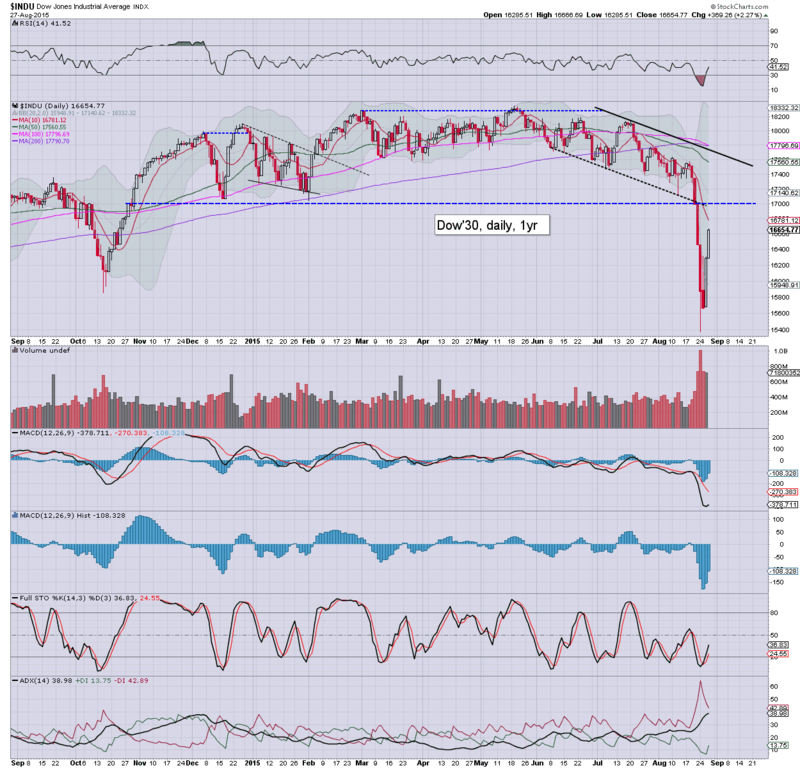 Viable downside to around 1960 in immediate term... which would offer 1940s late today or Monday. .. considering the daily cycles though.. it looks overly risky on the short side. Good morning. Equity futures are moderately lower, sp -10pts, we're set to open at 1977. There appears a distinct threat of another strong (if brief) move lower to the 1940s - whether today.. or Monday, before breaking above the sp'2000 threshold later next week. So, we're set to open somewhat lower, and if things quickly unravel, there is indeed threat we'll end what has been a wild and crazy week, on a somewhat bearish note. If the ABC theory (see 15min cycle) is correct, we'll see a washout somewhere in the 1945/35 zone complete by early afternoon, with some degree of recovery into the weekly close. The fact the hourly MACD (blue bar histogram) cycle is ticking lower certainly adds some credence to the notion that we need to marginally break the Thursday afternoon low before the market can break above the big 2000 threshold. FCX +13% in the 11s... as the stock has garnered attention from Icahn. Overnight China action: Very similar to Thursday, with the Shanghai comp' struggling across the day, but then a powerful late day ramp, settling +4.8% @ 3232. Again, the speculation in the mainstream is that the Chinese leadership are adamantly propping up the market ahead of some WW2 event, Sept' 3rd I believe. 9.36am.. So much for the weak open... almost net positive ! In any case, the hourly cycle is still ticking lower.. and threatens weakness as the day proceeds.. and possibly into Monday. For those looking to go long - myself included... I don't see a reason to hurry. 9.42am.. Hmmm.... so... right now.. minor chop.... and it seems to be a case of 'sit it out' until next week. US equities built broad gains into the afternoon, but then saw another crazy roller coaster ride from sp'1989 to 1948, but then surging back upward to settle at 1987. Further swings of this strength look due in the days, weeks.. and probably months ahead. 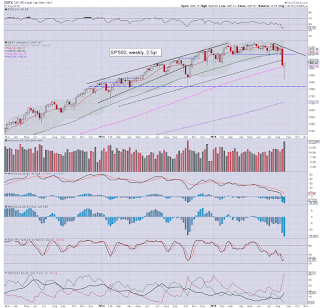 It is notable that the current weekly candle is a net gain for most indexes (The two leaders - Trans/R2K, are the exceptions). 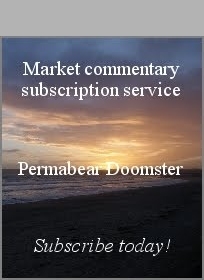 Friday will see pers' income/outlays, and consumer sentiment. 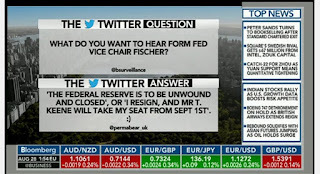 *It will be day'2 of the Jackson Hole meetup... no doubt, that will get some coverage on the clown finance TV. With a 4% round trip in the late afternoon, the notion that tomorrow we could be trading in the sp'1950/40s should not be seen as 'crazy talk'. If you agree that the hourly cycle remains over-stretched - and it clearly IS, then so long as we don't trade in the 1990s tomorrow morning, there is high threat of a sig' wave lower tomorrow. 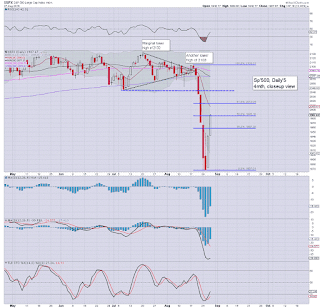 Whether you want to call it an 'ABC retrace' of the 122pt ramp from the Tuesday low of sp'1867.. really doesn't matter. What does matter is that we recognise the market is likely to remain volatile for some considerable time. 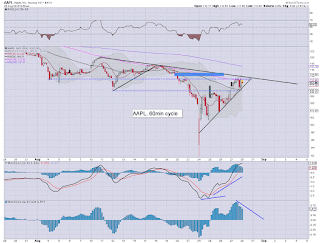 *I am on the sidelines overnight, and will look to pick up AAPL in the $109s tomorrow. If that price is now available, I'll sit it out until next week. US equities saw some distinct weakness in the late afternoon, but still closed significantly higher for the second consecutive day, sp +47pts @ 1987 (intra high 1989). The two leaders - Trans/R2K, settled higher by 2.4% and 1.8% respectively. 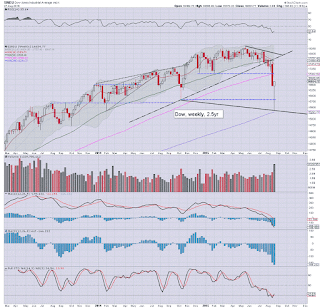 Near term outlook offers further cooling to the 1940s.. before resuming upward >2000. A second powerful day of gains, although with a very wild afternoon. 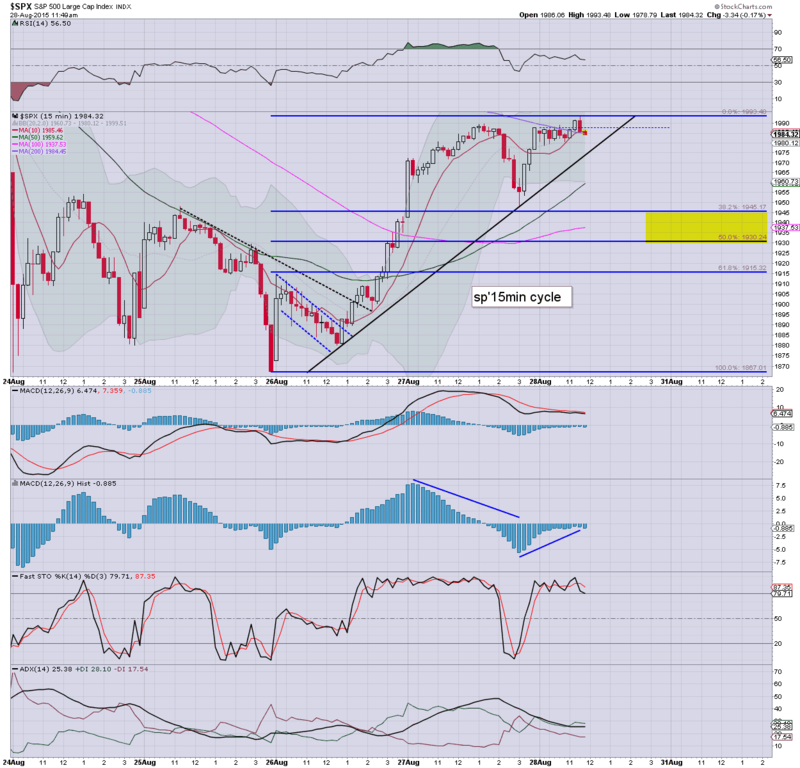 Broadly, the market looks set to challenge the sp'2000 threshold within the next 1-3 trading days. 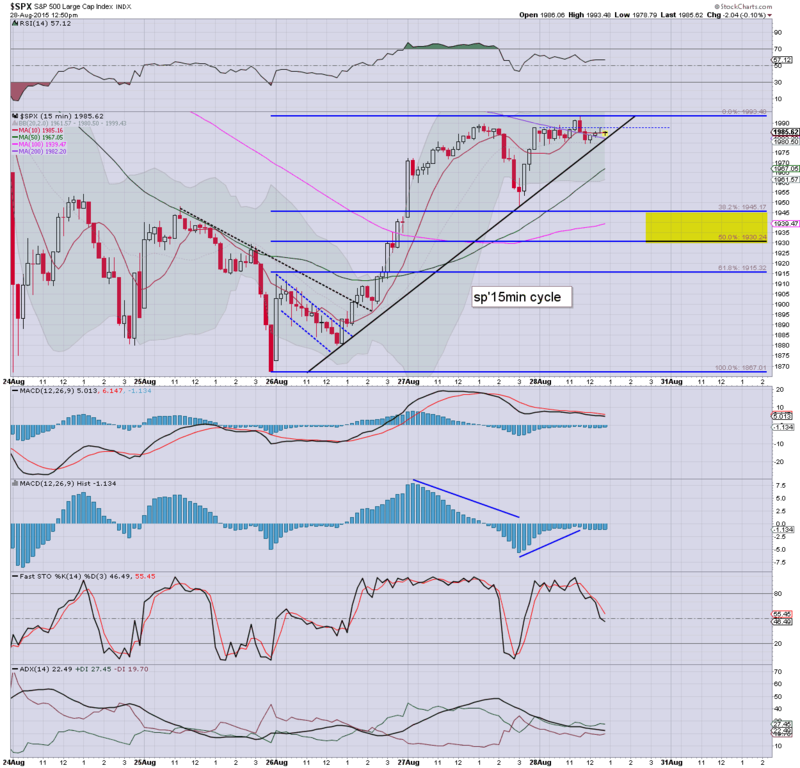 From there.. an attempt to break above the key resistance zone of 2050/70 looks a given by mid September.